Sanjay Arora, is the Director – Operations of our Company. He holds a diploma degree in electrical engineering with specialisation in electronics & television technology from YMCA Institute of Engineering, Faridabad. He has been associated with our Company since July 23, 2012 and has 34 years of experience in the manufacturing industry. He is responsible for the operations of our Company. He is also responsible for heading innovation, security and legal matters of our Company. Prior to joining our Company, he was associated with Onida Savak Limited, Monica Electronics Private Limited, Kortek Electronics (India) Limited and LG Electronics India Private Limited. Udaiveer Singh, is the President – RAC division of our Company. He holds a diploma in mechanical engineering from Board of Technical Education U.P. 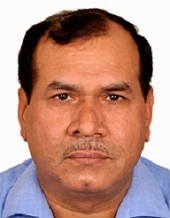 He has been associated with our Company since December 15, 2003 and has 22 years of experience manufacturing industry. He is responsible for the planning and operation of the RAC manufacturing facilities of our Company. Sachin Gupta, is the Vice – President-RAC division of our Company. 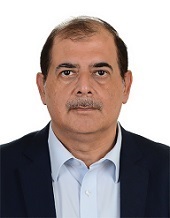 He holds a bachelor’s degree in electrical engineering from Punjab Technical University and a post graduate diploma degree in business administration from All India Institute of Management Studies, Chennai. He has been associated with our Company since November 1, 2014 and has more than 14 years of experience in manufacturing industry. He is responsible for business development in our Company. Prior to joining our Company, he was associated with LG Electronics India Private Limited and Godrej & Boyce Manufacturing Company Limited. 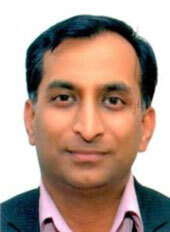 Sudhir Goyal, is the Chief Financial Officer of our Company. He holds a bachelor’s degree in commerce (Hons.) from University of Delhi. He is an associate member of the Institute of Chartered Accountants of India. He has been associated with our Company since October 23, 2012 and has over 13 years of experience in manufacturing industry. He is the head of the finance and accounts department of our Company. Prior to joining our Company, he was associated with Hythro Power Corporation Limited, Altima Systems Private Limited, ETA Ascon group of Companies, Jamshedpur Mineral Wood Manufacturing Co. (P) Limited. 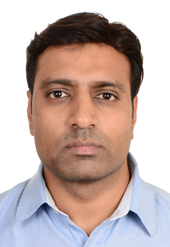 Konica Yadav, is the Company Secretary and Compliance Officer of our Company. 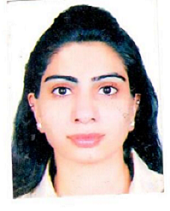 She holds a bachelor degree in Commerce from Maharshi Dayanand University, Rohtak. She is an associate member of Institute of Company Secretaries of India and Institute of Chartered Secretaries and Administrators, London. She has been associated with our Company since September 27, 2014 and has more than five years of experience in the secretarial field. She is responsible for the legal and secretarial work of the Company. Prior to joining our Company, she was associated with DLF Hotel Holding Limited, Green Infra Wind Farm Assets Limited and Adlakha & Adlakha Associates.